I can't even believe Thanksgiving is next week! We are contemplating starting to put up our holiday decorations this weekend, too. That means holiday parties are just around the corner. But with all that Christmas shopping and holiday travel, who has the extra cash to spend on new outfits? 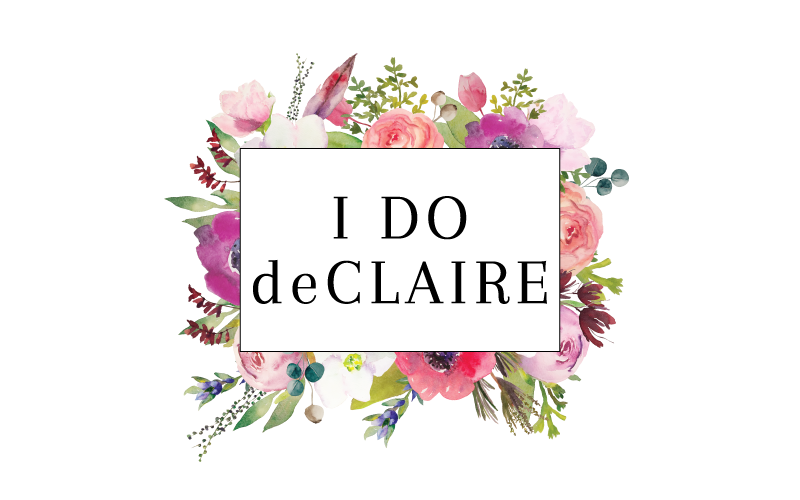 I have 2 options, one cocktail party appropriate and one slightly more casual, from SheIn that won't break the bank. Velvet is huge this year and thankfully this thicker fabric adds a bit of warmth, too! 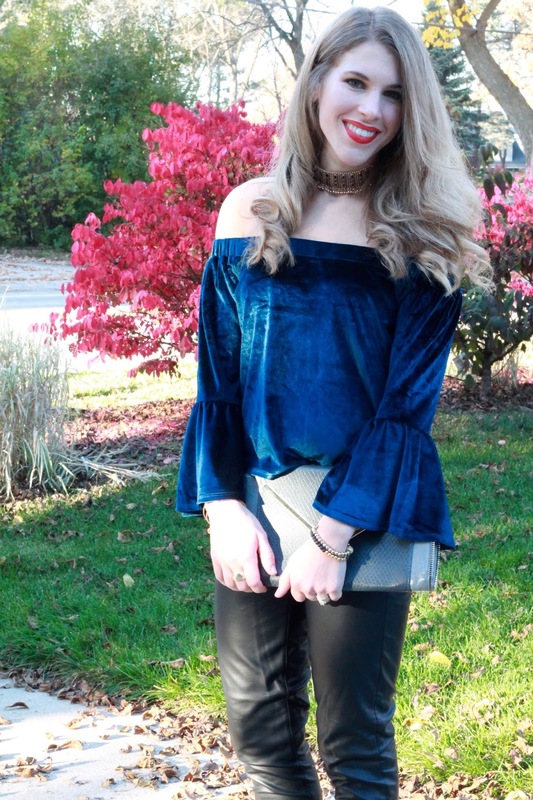 This off the shoulder velvet top plays to the velvet trend and the bell sleeves make a huge statement. Paired with killer heels and leather pants, you are ready for a holiday date night or any outing. At less than $11 you definitely have enough cash for Christmas gifts and maybe something extra for you! White isn't just for summer! Add a traditional holiday color like red and you've immediately transitioned it for a holiday party. I loaded up on the red accessories and even a classic red lip. What I love about this white laser cut dress isn't just the $15 price tag. It's that it is fully lined and has long sleeves. The laser cut detail lets you show some leg while still feeling covered, too. SheIn has many more great options for holiday parties so make sure you check them out and get your order in soon! I love the velvet top look the most, so edgy and chic. Both of these outfits are stunning on you! 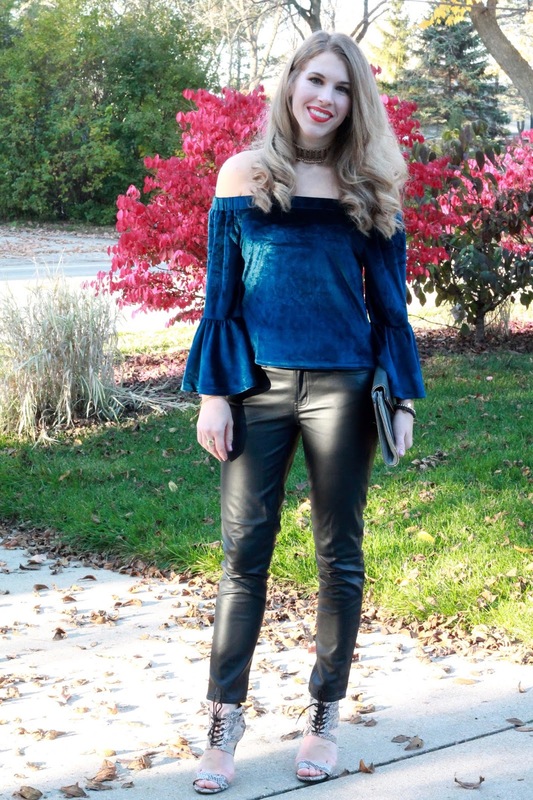 Love that velvet off the shoulder top! Those sleeves are fabulous! those are some great outfits!! Whooooo! Girl you can get it on BOTH of those outfits! Oh wow that velvet off shoulder top is beautiful ! Those are definitely some great looks for the holidays Laura!! The nice thing about both pieces, are you can wear them for other times too---they can be nicely dressed up but also good for casual! In love with both OTS looks! That velvet top is so chic. Can't believe it's almost holiday time! I know it so crazy that Thanksgiving is almost here. Both looks are stunning but I really love that velvet top! That look is so luxurious and festive! Both of these looks are gorgeous, Laura! 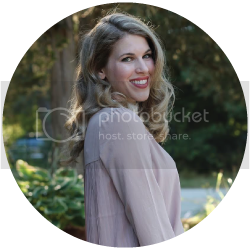 Shein has some great pieces right now! I'm not sure which look I like best, they are both so different yet chic! That velvet top though, I need it! lol! Love the color! I also love those red heels with the dress. I love that velvet top, it's so gorgeous! You look beautiful in both these looks! That white dress with the red shoes is stunning! I would definitely rock that to any party! 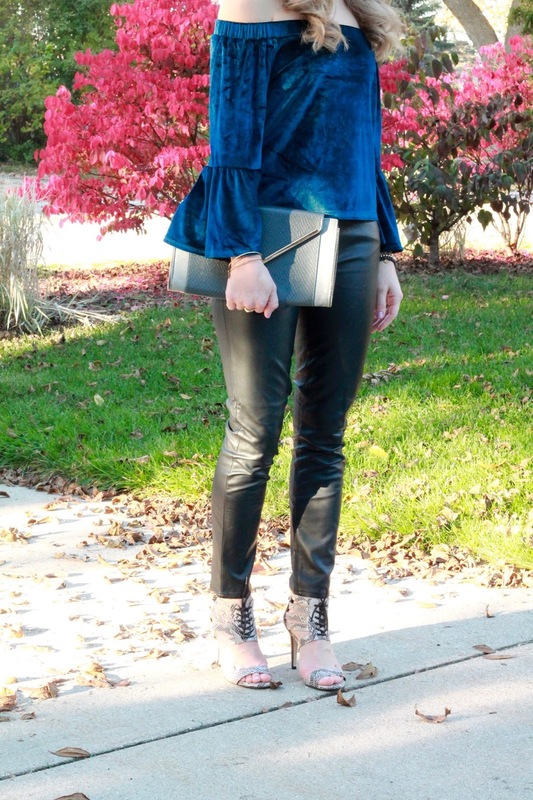 I just love the velvet - I will definitely be wearing lots of it this holiday season! And that metallic pleated skirt is gorgeous.